If you’ve experienced a house fire, you may feel lost. You may feel hopeless. But you’re not alone. Approximately 358,500 house fires happen in the US each year, leaving behind property damage and emotional upheaval. While the fire damage restoration process can be daunting, a trustworthy fire and water restoration service can help get your home, and your life, back on track. It’s important to have a plan and know what to do after a house fire. As soon as it’s safe, you’ll want to have the damage assessed as soon as possible. The longer you wait, the more damage can occur. An emergency assessment should be provided by any company offering fire damage restoration services and emergency remodeling, like Statewide Construction. An assessment includes touring the property and taking note of the scope and scale of the damage. Since some damage can be invisible to the untrained eye, it really is important to bring in professionals to avoid problems down the line. Before the restoration and remodeling work begins in earnest, the first thing to do is tarp and seal your home to prevent further damage. Fire damage cleanup often means water damage too. Water damage occurs when the fire is extinguished, as well as when fire causes pipes to burst or creates holes in roofs or exterior walls. A restoration team may seal off certain areas to protect undamaged parts of your home. 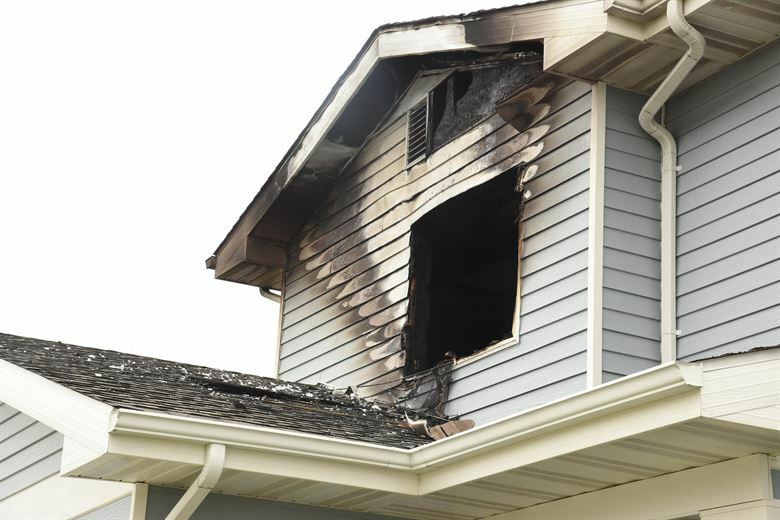 After a fire, a home often looks dark and “charred” due to damage from both flames and smoke. During the cleanup phase of fire restoration services, the contractors will remove materials that are too badly damaged to restore, like carpet, furniture, drywall, and doors. They’ll also remove soot and smoke from surfaces, and clean walls or carpet that can be salvaged. Rebuilding may seem daunting, but a good fire restoration service company will partner with you to replace fire damaged floors and walls, make the necessary repairs, and even make interior and exterior renovations you need to make your home look and feel better than before. All of this allows you to get back to what’s really important: living your life in a safe home. This article comes courtesy of Rogers Home Improvement, which has been proudly serving Terre Haute, Indiana, the greater Wabash Valley area, and nearby Eastern Illinois for over 25 years. Statewide Construction LLC serves Wake Forest and Raleigh area with interior and exterior remodeling, including restoration and water damage projects. Owner, Clay Curtis, is a NC Licensed General Contractor, and Raleigh native. If you’re wondering what to do after a house fire, get in touch with Clay today and he’ll give you an honest and fair assessment.